2016 ended on a high note with React Presents’ last music festival of the year –Reaction New Years Eve. No doubt this was the hottest ticket for New Years as thousands turned out for two days of fun and music. New this year to Reaction NYE was the fan-favorite Silent Disco. As always, it’s a must try if you haven’t before. The experience can be described as a exclusive house party where only the DJ and concert-goers are the only people who can hear the music. All the performers, including Caliago had the whole section rocking. In addition to the Silent Disco, Reaction NYE also displayed amazing artwork from local Chicago artists in the new Art Gallery. Upon entering Hall B of the Donald E. Stephens Convention Center, you were met with a wide selection of unique pieces – some artists were seen still working, putting the final touches on their masterpieces. Presentation was everything at this year’s edition of Reaction NYE. The visual concepts (including the lighting system) used this year were crisp, in which added so much detail to performances. The upgrades also saw the incorporation of the new laser system – making its debut on New Year’s Eve. The lineup for both days catered to many people’s interests in music. EDM, Hip Hop, House, Trance and more were all showcased across three stages. Returning this year was the Arcade Stage. What’s exactly an “Arcade Stage”? Well have you ever wanted to play some old-school addictive coin-snatching arcade video games while your favorite artist(s) performed only feet away from you? That’s exactly what the Arcade Stage was. Many fans in attendance danced in the middle of the floor, while others gathered around the video game machines looking to beat their opponents high scores, only taking their eyes off the screen when a major drop was about to happen. Over on the main stage (The Warehouse) saw the likes of Manic Focus and Tchami, both playing a mix of house and electronic. 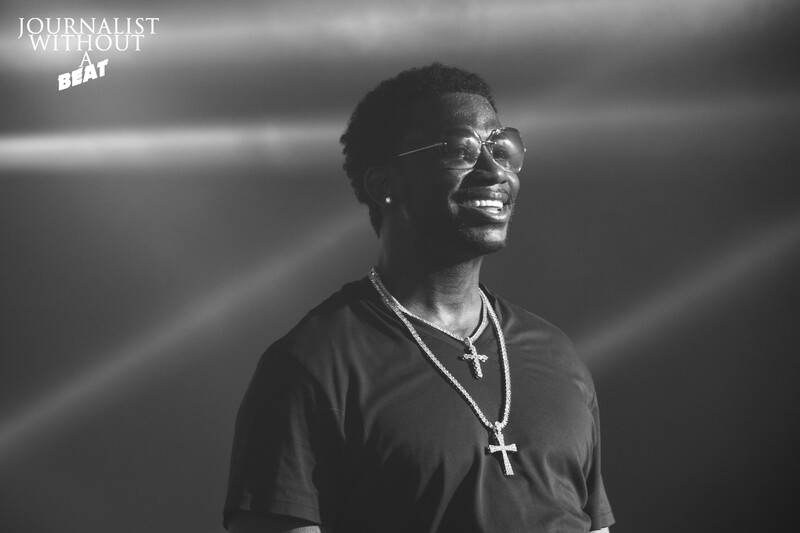 Before co-headliner, Gucci Mane, took the stage, his DJ hopped on the decks and played some hip-hop heavy hitters, including the ever-so-popular Bad & Boujee by Migos, which had the crowd citing word for word. Soon after the East Atlanta Santa aka Trap God aka Guwop aka Gucci Mane appeared on stage. Gucci was met with a thunderous Chicago welcome, with “Gucci” chants ringing throughout the convention center. The “Everybody Looking” rapper set included tracks from his latest EPs Everybody Looking and Woptober and classics such as Bricks, I Think I Love Her, and Wasted. The energy during Gucci Mane’s was at an all-time high. As 2017 neared and 2016 began to retreat, everyone in attendance reported to the Warehouse stage at around 11:50pm. As minutes began to turn into seconds, the large screens on both sides of the stage played a video package showcasing React Presents festivals from this past year including Spring Awakening and Mamby On The Beach. Once the clock struck midnight, confetti, cheers and Rae Sremmurd’s Black Beatles echoed through the speakers as everyone celebrated the New Year among one another. The final act/first artists to perform in 2017 were Zeds Dead who wished everyone a Happy New Year and proceeded to bring the house down with their bass-heavy set. Reaction NYE is the place to be on New Year’s Eve, hands down. React Presents definitely knows how to go out with bang. With countless phenomenal festivals in 2016, the company is a force to be reckoned with heading into 2017.